I once heard someone say, ‘everyone wishes they were Italian.’ Of course that person was from Italy, but I think there may be some truth to that – I wish I had some Italian in my hodgepodge ethnic background. Perhaps that’s why I chose to study abroad in Italy; I fell in love with the history, food, and culture – I have returned to the country every chance I’ve had. 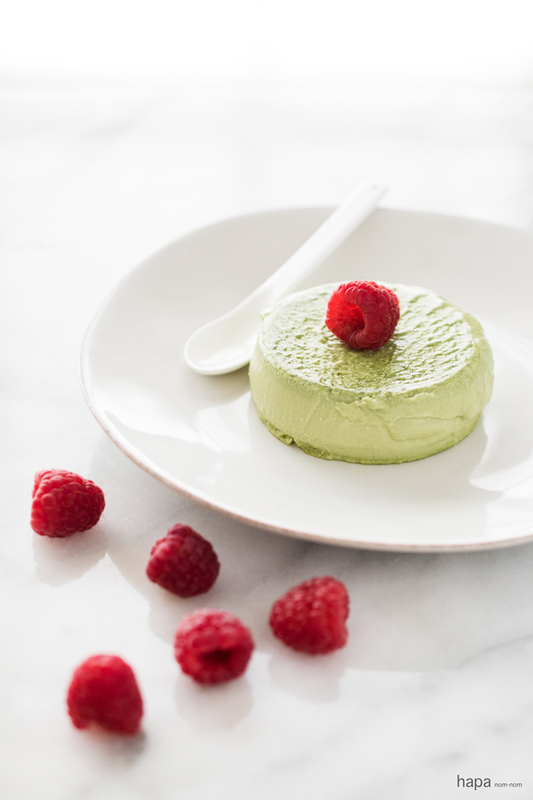 Panna Cotta is one of my favorite desserts – though being a hapa girl, I had to try to put an Asian twist on this Italian classic and make Green Tea Panna Cotta. Green tea goes surprisingly well with desserts – if you’ve had green tea ice cream, then you know how wonderful the combination tastes. 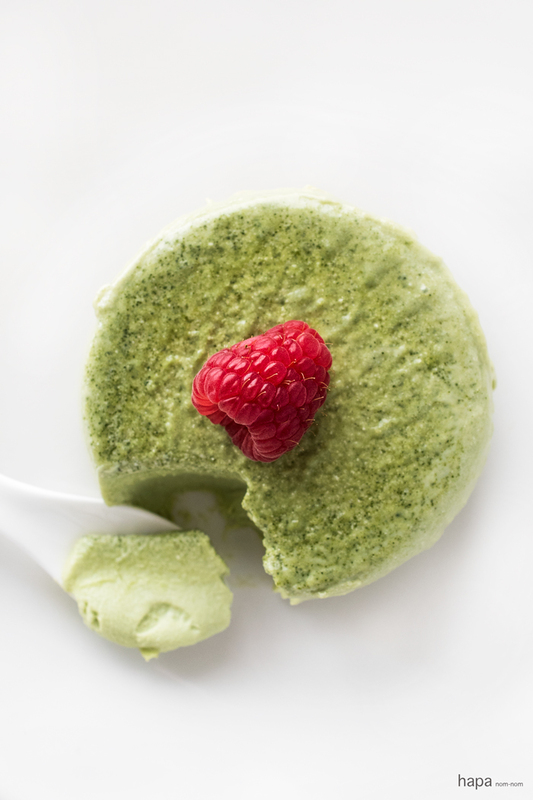 Just be sure to use matcha (green tea) when making desserts. Matcha is a finely milled green tea powder frequently used in Japanese tea ceremonies; therefore it’s more expensive than the green tea you may purchase for everyday drinking. However, it has a smooth and refined taste, coupled with the rich color that is imperative for the success of desserts. Likewise, it is an amazingly easy dish to put together and it serves a crowd! The panna cotta itself takes approximately 10 minutes to prepare, and while it takes at least 6 hours to set-up in the fridge, that’s time you can spend doing whatever else it is you need to accomplish during the day. It is truly a ‘no fuss’ type of dessert, yet tastes and looks like you have spent hours working on the dish. 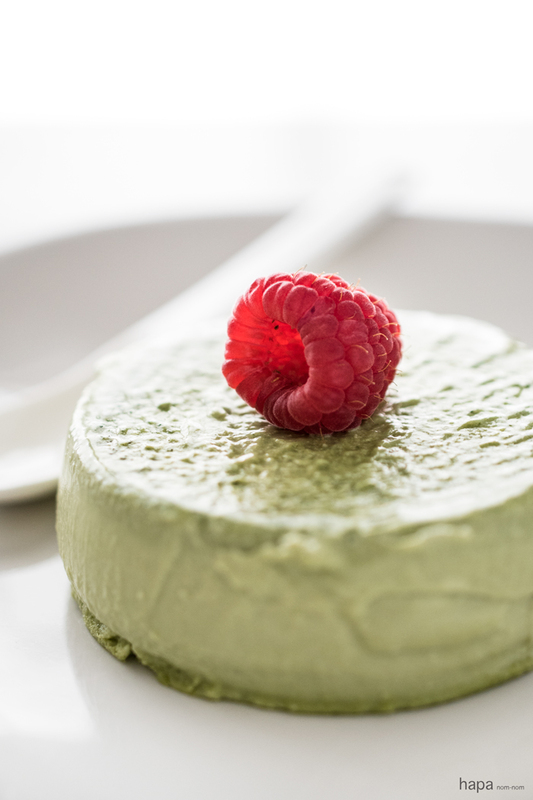 This Green Tea Panna Cotta has a wonderfully mild sweetness, and tastes fantastic on it’s own or garnished with some fresh berries. An Asian twist on an Italian classic, this Green Tea Panna Cotta is slightly sweet, creamy, and SO delicious! Pour the milk into a small bowl. Sprinkle the gelatin over the milk and let it sit for 3 – 5 minutes. In a large saucepan over medium-high heat, add the gelatin/milk mixture, heat until the gelatin has melted, but do not let the contents boil. Pour 1 tablespoon of the whipping cream into a small bowl, add the matcha powder, and whisk until it forms a smooth paste (make sure there are no clumps). Transfer the matcha paste to the saucepan and add the rest of the whipping cream, and sugar. Stir frequently until the sugar dissolves and the mixture is smooth, approximately 5 minutes – do not to let the mixture boil. Pour into the ramekins. Once they are cool enough to move, transfer them to the refrigerator. Let the panna cotta rest for a minimum of 6 hours. You can serve the panna cotta in the ramekins if you like. If you want to remove the custard from the cups as I've done in the photos - take a thin knife and run it along the edge of the custard (try to do it all in one swipe - sawing can produce jagged looking edges). Fill a small baking dish with boiling water, enough so that the water comes half way up the side of the ramekins. Set the ramekins into the water for 30 - 45 seconds (don't let them sit too long, or the custard will melt). Remove them from the water and firmly smack the sides of the cup to loosen the panna cottta. Place a plate on top of the ramekin and then flip the dish to it's upright position. Carefully remove the ramekin, serve with fresh raspberries and enjoy! Thank you so much for this recipe! I’ve made it a couple times and my husband loves it! I’m so happy to hear it! Hope you both have a Happy New Year! Can I substitute 1/4 cup of sugar to maple syrup? Is that gonna change the consistency? Hi Theresa! I have not made this substitution personally, so I can’t speak from direct experience. However, I did do a little digging online on panna cotta recipes made with maple syrup en lieu of sugar and it sounds like it’s a perfectly acceptable sub. Apparently you can even use honey or agave syrup as well! So I finally had time to make this! Oh my goodness! It’s sooooo delicious! The texture is perfectly smooth. Not too sweet! I’m gonna share this with my friends! Thanks again for the recipe and beautiful presentation! Happiest new year to you! Absolutely stunning and so creamy looking. I love this idea to add matcha as it really balances the sweetness from the panna cotta. Sharing everywhere! Yes! That’s what my husband said – he’s doesn’t have much of a sweet-tooth, so he liked this dessert for its mild sweetness. Thanks so much for sharing sweetie, xxoo! Sounds wonderful! This would make a beautiful dessert for Christmas. Holy crap, Kathleen! This looks absolutely spectacular — I was just dreaming about green tea panna cotta the other day!!! Adding blueberry-lavender sauce sounds like it would just take it over the top.. Amazing.